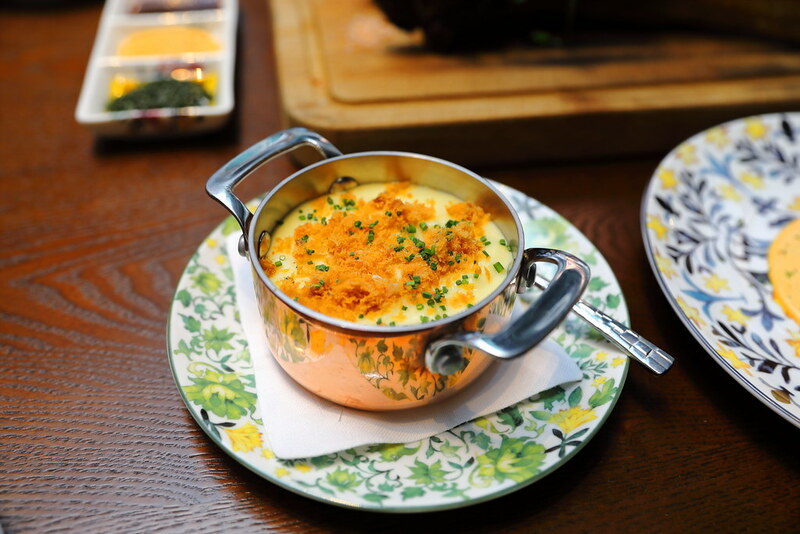 After the opening of the Forbidden Duck Singapore last year, Chef Alvin Leung has opened another new restaurant 15 Stamford by Alvin Leung at The Capitol Kempinski Hotel Singapore. 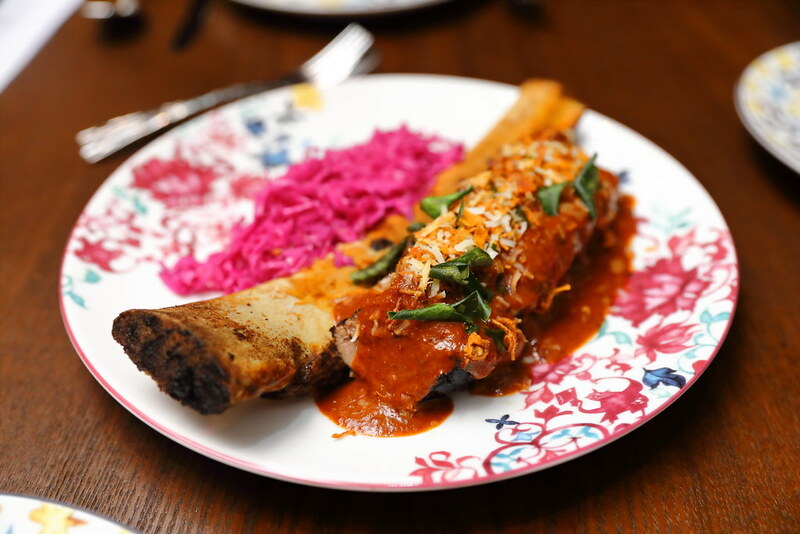 The new restaurant focuses on wood and charcoal grill, a grill house that uses a fete of fine Asian flavours with its exquisite dry-aged beef and premium seafood. Dinner at the beautiful restaurant started with the Bluefin Tuna Tartare ($18 for 3pc) served in a nori taco shell. The aroma from the seaweed definitely whetted up the appetite. 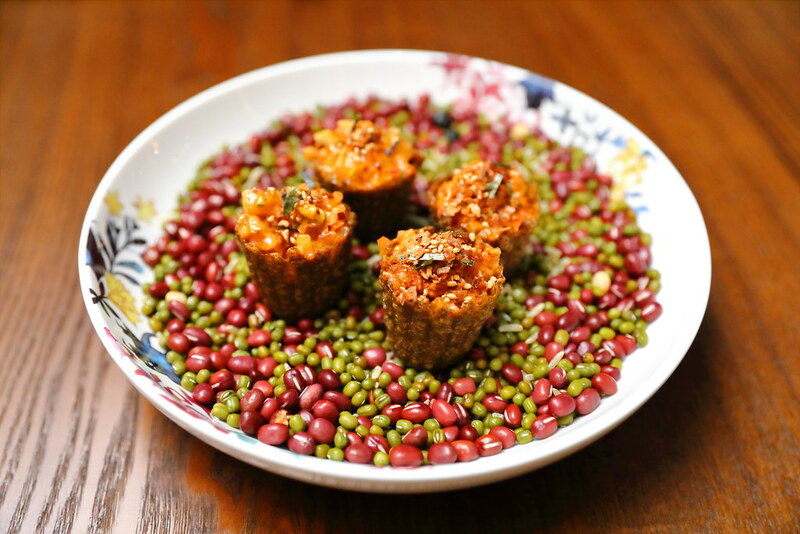 The bluefin tuna cubes are tossed in housemade Gochujang sauce which enliven the flavour with a tad of spiciness. 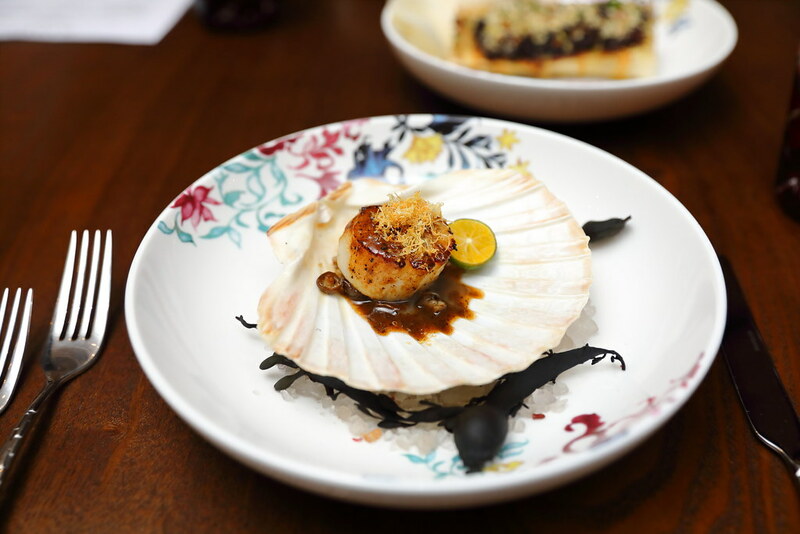 The plump and juicy Grilled Hokkaido Scallop ($12) is paired with soy garlic vinegar butter sauce and topped with deep fried shredded ginger. Have a squeeze of the calamansi to elevate the enjoyment. 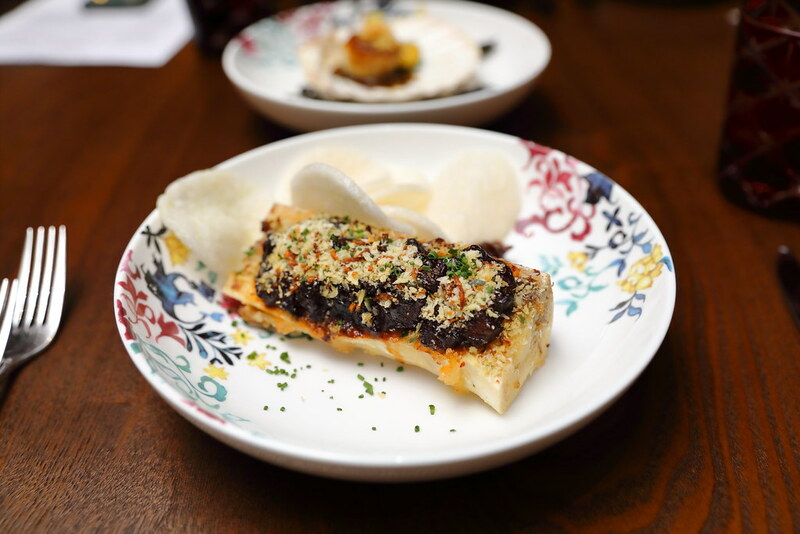 The highlight for the Indonesian Spiced Roasted Bone Marrow ($22) is actually the accompanying shallot marmalade (shallots reduced by red wine and zhenjiang vinegar). It is like icing on the cake. The bone marrow and ox tongue braised in beef jus, garlic and soya sauce, jump to live when eaten together with the shallots. Sous vide for a good 72 hours to achieve the tender texture is the US Bone-In Short Ribs Rendang ($68). I find the rendang sauce slightly on the sweet side and lacked that rempah fragrant, taste more like a peanut sauce instead. On a side note, I enjoyed the pickled cabbage at the side to cut through those richness. 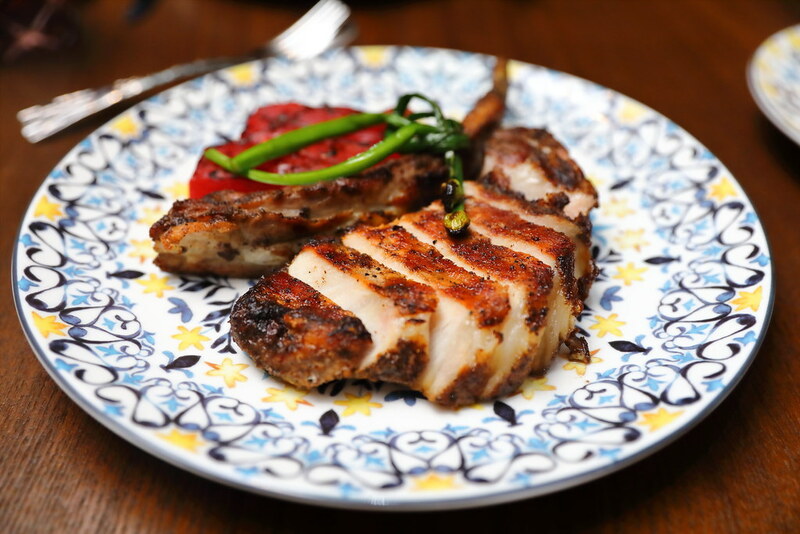 Marinated for 12 hours with over eight different Bak Kut Teh spices is the Chargrilled "Bak Kut Teh" Pork Chop ($38). The tender meat alone may not be able to highlight the characteristic of the local pork bone soup. Hence I would recommend having it together with the housemade barbecue sauce which has been infused with Bak Kut Teh herbs. It will taste closer and more familiar to the bak kut teh dish that we know. 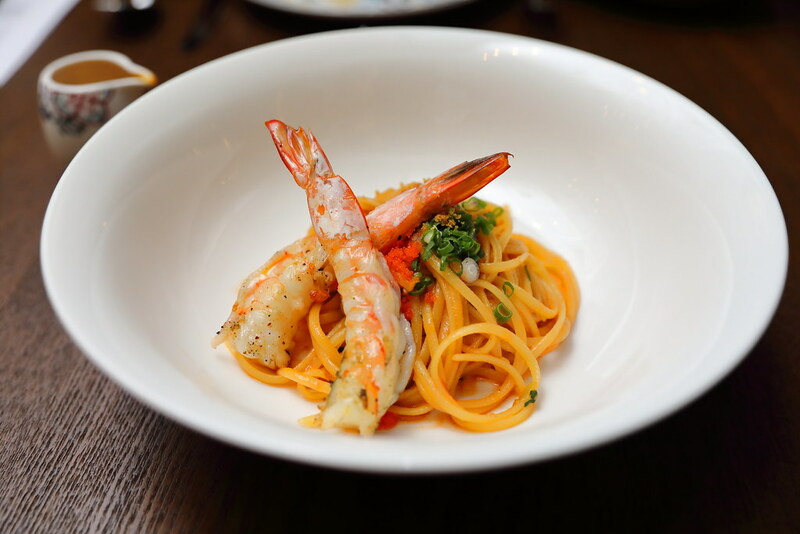 The "Har Mi" Linguiine ($38) may looking assuming, like any other ordinary plate of pasta with grilled tiger prawns. Be surprised to be hit by a tsuami flavour of prawny robustness infused into the pasta. The pasta that has been cooked in prawn stock, and stir fried with ebiko, shrimp oil and shrimp floss. 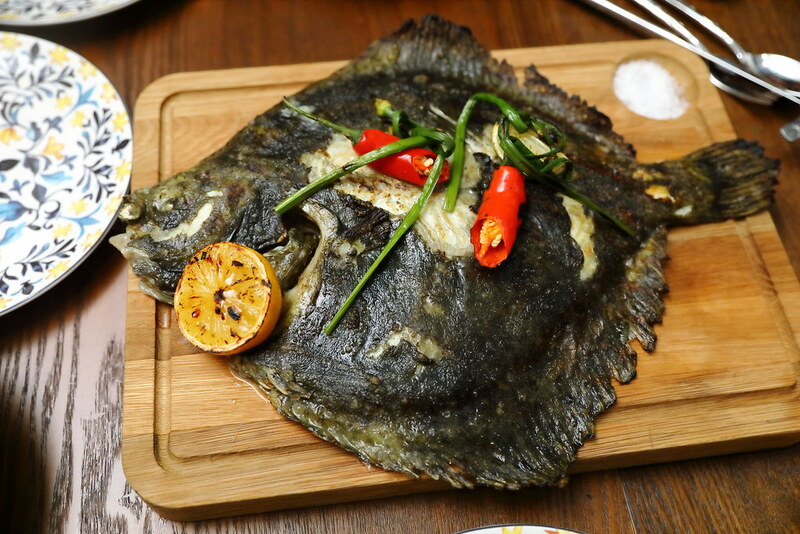 One of the my favourite dishes is the chargrilled whole Turbot ($120). Nothing fancy, just lightly seasoned with salt and chargrilled to bring out the natural sweetness of the white fish. It comes with lemon and 2 housemade sauces (Thai Salsa and Spicy Peppercorn Sauce). 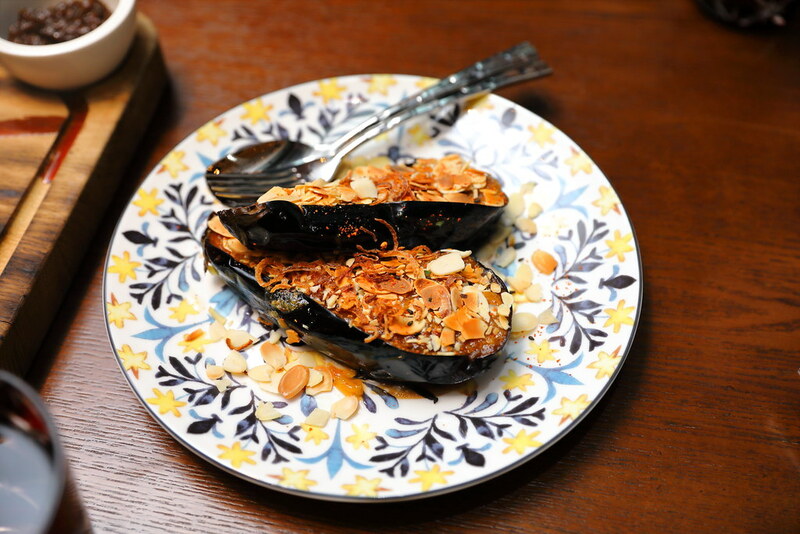 To complete your meal, you may want to order some sides to go along such as Grilled Eggplant ($12) and 50-40-10 Mashed Potatoes and Salted Fish ($12). The mash potatoes is to die for. It uses a ratio of 50% potatoes, 40% butter and 10% salted fish. The addition of salted fish is like bacon on baked potatoe for the smooth and creamy mash potatoes, providing the addition texture and flavour. 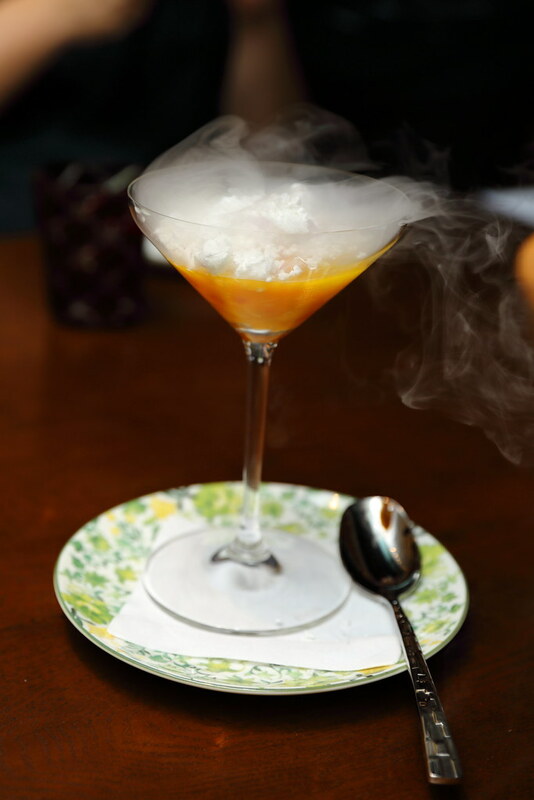 The Mango Pomelo Sago with Coconut Snow ($16) is an elevated inspiration of the local "Ice Kachang" with the crowning of nitrogen coconut ice for a dramatic entry. Besides the grilled items on the menu, 15 Stamford also offers some local renditions such as laksa and chicken rice. Unfortunately the local favourites in my opinion is quite expensive considering there are many options around the vicinity. 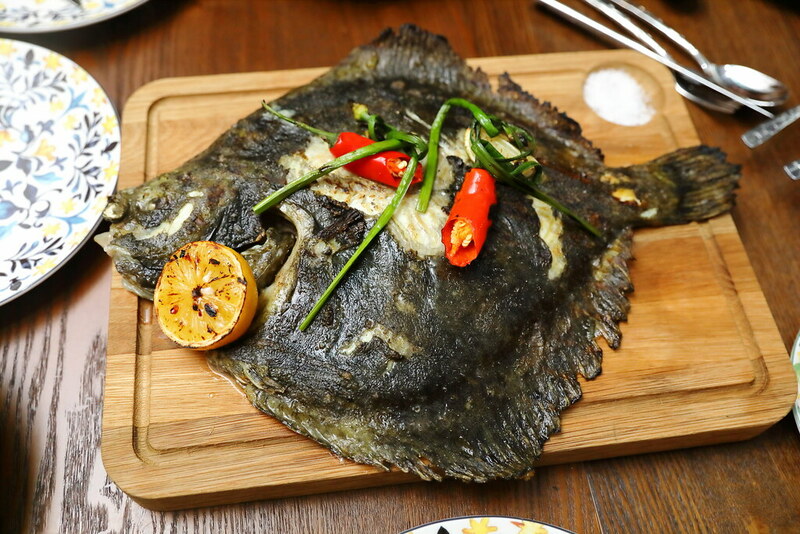 I would recommend the grilled item instead, especially their steaks and turbot.